JOIN US IN MARSEILLE FOR WORLD-CLASS CS:GO AT THE MEDITERRANEAN ON APRIL 21-22, 2018. To be as up front as possible we would like to let you know that all the audio inside the arena will be broadcasted in French. Online viewership will not be affected. 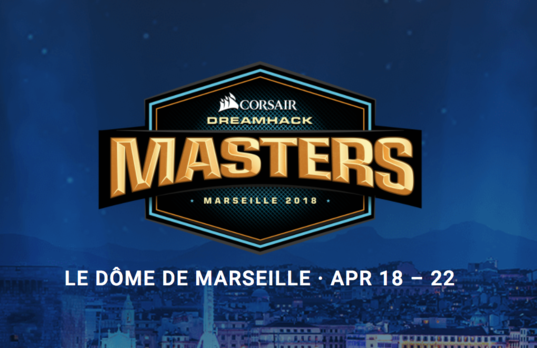 CORSAIR DreamHack Masters Marseille will see 16 of the World’s best CS:GO teams compete live in Le Dôme de Marseille. Up for grabs will be $250,000 in prize money and the title as the Marseille 2018 Champions. Who will join Ninjas in Pyjamas, Virtus.pro, and G2 Esports, and become the first champion of 2018, or will we see a repeat winner? More information about invited teams and qualification process will be announced closer to the event. A full and detailed schedule will be published shortly. Show your friends you're going to DreamHack Masters Marseille, follow the event on Facebook!